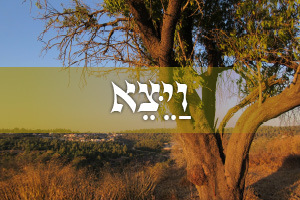 The patriarch Jacob receives his name because of his brother Esau’s heel: In Hebrew, the name Yaakov is derived from the word akev, “heel.” And indeed Jacob was born grasping that part of his older twin’s body. 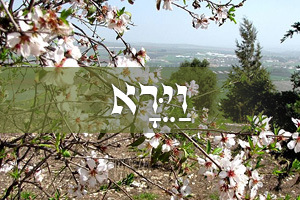 Throughout the weekly Torah reading of Parashat Toldot, two Sabbaths ago, which recounts the early phases of his life, Jacob demonstrates loyalty and a connection to his name: His personality is molded as part of an ongoing response to life with his brother, and he receives their father Isaac’s blessing while figuratively holding on to Esau’s heel (Jacob disguises himself as his older brother, and even identifies himself as Esau when he comes to Isaac for that blessing). In keeping with his identification with Esau, Jacob sets off on the journey to the home of Rebecca’s brother, Laban, as described in last week’s Torah reading, Parashat Vayetze. 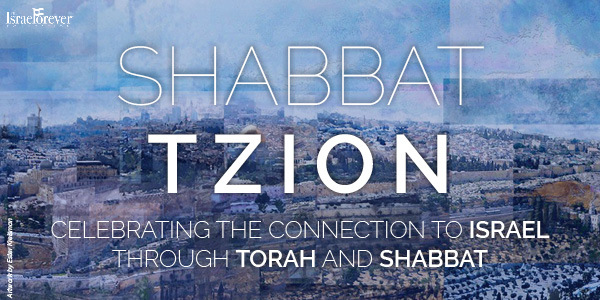 In the opening of this Sabbath’s Parashat Vayishlach (Genesis 32:4-36:43), Jacob is described as being on his way back to Canaan and is on the verge of meeting Esau. “And he said: ‘I will not let thee go, except thou bless me.’ And he said unto him: ‘What is thy name?’ And he said: ‘Jacob.’ And he said: ‘Thy name shall be called no more Jacob, but Israel; for thou hast striven with God and with men, and hast prevailed.’ And Jacob asked him, and said: ‘Tell me, I pray thee, thy name.’ And he said: ‘Wherefore is it that thou dost ask after my name?’ And he blessed him there” (Gen. 32:25-30). The man’s name remains a mystery and the reader does not know whether the struggle is real or imagined, external or internal. 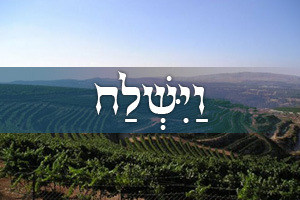 In the following midrash, the sages shed new light on the refusal of this figure – in their view, he is an angel – to reveal his name. Adhering to a literal reading of the rhetorical question that’s posed, the sages describe the refusal as stemming from an inability to provide an answer, and consider this to be an inherent characteristic of angels. 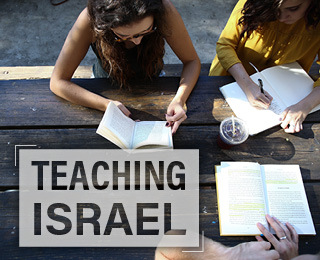 “And Jacob asked him, and said: ‘Tell me, I pray thee, thy name.’ Rabi stated, quoting Abba Yossi, son of Dessai: One biblical verse reads ‘He counteth the number of the stars; he giveth them all their names’ (Psalms 147:4), while another biblical verse reads, ‘He that bringeth out their host by number, he calleth them all by name’ (Isaiah 40:26). “How can these two contradictory verses be reconciled? It can only be concluded that the angel has no fixed name. The name he has now is not going be the name he will have at some subsequent time, as it is written, ‘And the angel of the Lord said unto him: ‘Wherefore askest thou after my name, seeing it is hidden?’ (Judges 13:18) – that is, I do not know what my new name will be” (Genesis Rabbah 78:4). This conclusion is congruent with the view that angels have no one, set name and that their names are constantly changed. They are given a new one on each occasion – or perhaps in advance of every new mission. God may have a single name that applies to all the angels; however, from time to time, it changes. So it is that the Almighty gives the angels many names. 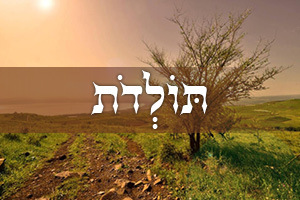 The midrash presents as evidence the verse in the Book of Judges where an angel refuses to reveal his name to Manoah, and simply replies, “Wherefore askest thou after my name, seeing it is hidden?” In this case, argues the homilist, the angel does not know what his name will be from one moment to the next, and thus has nothing to reveal to Manoah. 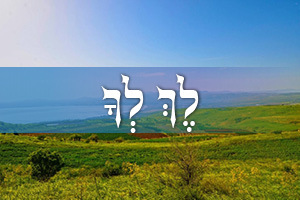 The above verse in which the “man” refuses to reveal his name to Jacob is not specifically referred to in the body of the midrash, but is rather only indirectly mentioned in its heading. However, after studying the midrash, one can understood the meaning of the man’s response: He does not refuse to reveal his name to Jacob; he simply is incapable of doing so because it will be changed in another instant. The man’s reply is thus given a double meaning because, just moments before, he changes Jacob’s name to Israel. Prior to this point, the name Jacob shapes the story of the life of the patriarch. He is called Jacob when he and Esau are born and he takes hold of his twin’s heel. Up until the events described in this week’s reading – that is, prior to his reunion with Esau – Jacob has virtually been holding on to his brother’s heel: He defines himself vis-à-vis Esau and determines his deeds as a response to Esau’s moves. The confrontational name Jacob serves to “clip his wings,” and the man with whom he wrestles appears in order to free Jacob from this restraint, moments before he is due to reunite with his brother. The name of the man with whom Jacob struggles is not at all important because the next moment that name will change, in any case. Jacob seems fearful of a repetition of what he sees as the self-evident dynamics of his narrative; however, as the man teaches him, there is no continuity – every encounter is open to unique developments. Because of this, Jacob need not fear meeting his brother once again. In effect, then, it is not really Jacob who will meet Esau and, conversely, it will not be Esau whom Jacob will meet.